John is a Senior Partner of Presley Beane Financial Services and has been serving in the financial industry for over 35 years. John specializes in financial planning, with a focus on wealth management and estate planning. Earning his BS degree in Zoology from the University of Arkansas, John went on to pursue his true calling and became a CERTIFIED FINANCIAL PLANNER (CFP®) professional in 1989. John holds his Series 7, 24, and 63 securities licenses, along with a Life, Health, and Variable Annuities licenses. 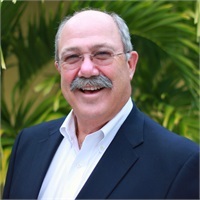 John is a past President of the Southwest Florida Financial Planning Association, the Kiwanis Club of Naples on the Gulf, and a past board member of the Estate Planning Council of Naples. He has served on the Advisory Board to the Southwest Florida Council of the Boy Scouts of America, was Chairman of the Board of PAT's Kids Club in Naples, served as a board member of United Way of Charlotte County, and also served on the City of Punta Gorda Firefighter's Pension Board. John is a current member of both the Charlotte County Chamber of Commerce and the Punta Gorda Chamber of Commerce where he serves on the Political Affairs Committee. He also currently serves on the City of Punta Gorda's Community Police Board. John is a graduate of Leadership Charlotte Class of 2010. As the Senior Partner of his family owned and operated financial services firm, it is not surprising that John cherishes his family and strives to always put them first. Dedicated husband and proud father to three University of Florida educated children, John enjoys spending time with his family, usually in the great outdoors. Citing his dad as his personal hero, John’s father instilled in him the importance of giving back, and a lifelong passion for helping those in need. A philanthropist through and through, John believes strongly in serving his community, and regularly donates time and resources to organizations in need of support. Happy, determined, and helpful - John is passionate about growing his business and helping his clients reach their goals - all with his family by his side.